Experience a spectacular Norway premiere! The church opera Upon This Handful of Earth deals with one of today's absolute greatest challenges: climate change and natural disasters. The opera tells stories of human lives that have been impacted by environmental disasters. Nearly 100 musicians contribute during the Norwegian premiere and fill the church with sound and visual impressions in a full-scale opera production. The 2019 festival's major initiative, Upon This Handful of Earth, is composed by Gisle Kverndokk. The libretto is written by Aksel-Otto Bull and Kverndokk, inspired by texts by the Catholic priest, philosopher and naturalist Pierre Teilhard de Chardin. The work also makes use of a 3500-year-old Veda text in Sanskrit, texts from American indigenous peoples and environment-related newspaper articles concerning the Chernobyl accident, Shell's oil disaster in Nigeria and the fracking industry. The opera is written for boys' and girls' choir, mixed choir, chamber orchestra and six vocal soloists, with a central role performed by the boy soprano Philip Weiss-Hagen, all under the direction of Vivianne Sydnes. At the festival we have long wished to illuminate our shared responsibility for man-made climate change, and in 2014 began a dialogue with the composer about an opera on this theme that would fit naturally in a church space with its strong symbolism. Despite its gloomy theme, the opera also expresses an optimistic view of the road ahead after the human and environmental tragedies. The Opera was premiered by the New York Opera Society in the Church of St. Ignatius Loyola in New York in February 2017 in memory of Teilhard de Chardin, who lived in the church's residence for the last five years of his life. Aksel-Otto Bull is a director and dramatist. He has contributed to almost 70 productions as stage instructor, worked at many of the theatres in Norway, with independent groups and with various project performances. Several of these productions he has written or translated himself. Bull has also worked a great deal with theatre students as an educator and instructor. His collaboration with composer Gisle Kverndokk has, among other things, resulted in the chamber opera Easter (2014), the musical Ruth Maier and the church opera Upon This Handful of Earth. Gjermund Andresen graduated as a theatre and performance designer from the Liverpool Institute for Performing Arts (LIPA) in 2004. Since then he has worked as a stage designer and costume designer in over 80 productions, including at Det Norske Teatret, Riksteatret, Oslo Nye Teater, Hålogaland Teater, Kilden, Rogaland Teater, Den Nationale Scene, Peer Gynt at Gålåvannet, the Opera in Kristiansund, Opera Østfold, Brageteatret, Teater Ibsen, Nationaltheatret and Trøndelag Teater. 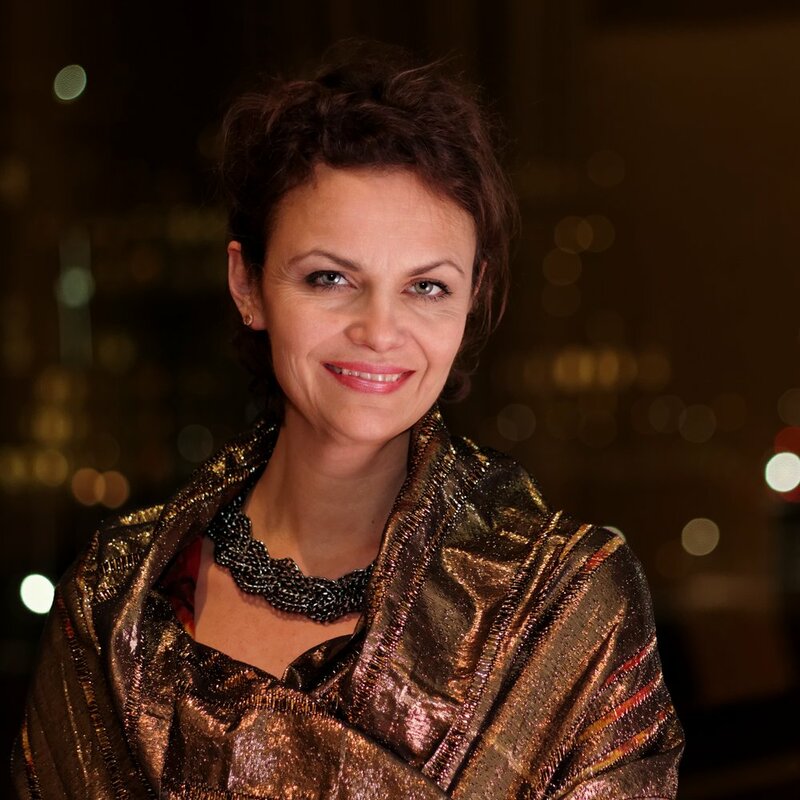 Vivianne Sydnes is cantor in Oslo Cathedral where she is conductor and artistic director of the Oslo Cathedral Choir. Her work includes a cappella repertoire and major works for choir and orchestra. Sydnes is professor of choral conducting at The Norwegian Academy of Music with responsibility for the Bachelor programme in this field. She is educated as a church musician at the same institution and holds a diploma in choir conducting from the Royal College of Music in Stockholm. Sydnes works often as course instructor and guest conductor in Norway and abroad. Oslo Cathedral Choir is one of Norway's leading church choirs. The choir's activities include concert productions, participation in weekly worship services, public and national events, CD recordings and tours. Oslo Cathedral Choir collaborates regularly with professional musicians and orchestras, and has a broad repertoire, from early music to newly written works. In recent years, the choir also participated during the St. Olav Festival, Ultima Festival, Bergen International Festival, Oslo Jazz Festival and Oslo Chamber Music Festival. The choir is led by Vivianne Sydnes, cathedral cantor and professor at the Norwegian Academy of Music. Oslo Cathedral Boys' Choir was founded by Terje Kvam and Carl Høgset in 1985, based on the English boys' choir ideal where all the boys sing soprano. The choir has recorded its own CDs and performed on television in various contexts – including TV2's God Morgen Norge on Christmas Eve in 2009, 2010 and 2011. They have also completed assignments for The Norwegian National Opera and Ballet and the Oslo Philharmonic. Oslo Cathedral Boys' Choir is currently led by David Maiwald who rehearses the opera with the choir. Trefoldighet Girls' Choir is affiliated with the Sentrum and St. Hanshaugen parishes in Oslo and consists of about twenty girls and women from 10 to 22 years of age. The choir has also taken part in several music festivals and toured in Norway and abroad. They received a gold diploma in the sacred music category at the international choir competition in Riva del Garda, Italy, in the autumn of 2013. Trefoldighet Girls' Choir has also completed assignments for The Norwegian National Opera & Ballet and the Oslo Philharmonic. Edle Stray-Pedersen is the choir's conductor and rehearses the opera with the girls' choir. David Maiwald is educated as a conductor and violist. He has been employed at several opera houses in Germany and made his mark as conductor in a number of ballet and musical productions. Maiwald is also a composer, arranger and accompanist. He is choir master of the opera choir at the Norwegian National Opera and Ballet, and leads the Oslo Cathedral Boys' Choir. 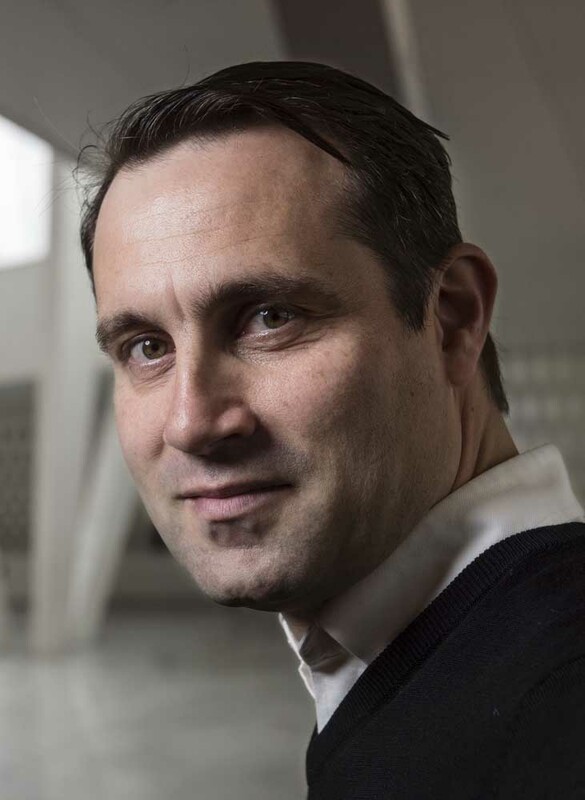 As conductor, Maiwald is a driving force behind the performance of contemporary music and is interested in music history's less frequently performed works. Maiwald has received numerous awards and grants for his projects. Edle Stray-Pedersen received her education in history, media science and music from the University of Oslo and the Norwegian Academy of Music. She has worked as a conductor for NRK's Girls' Choir, The Norwegian Girls' Choir and the Trefoldighet Girls' Choir. She is also administrative and artistic director of the Norwegian National Opera's children's choir. Stray-Pedersen has received a number of awards for her work and in 2017 was awarded Alle kan synge-prisen (Everyone can sing award) for her artistic efforts for children and young people. Oslo Sinfonietta is Norway's oldest active contemporary music ensemble. The ensemble consists of freelance musicians and members of some of Norway's most prominent orchestras, such as the Oslo Philharmonic, Norwegian Radio Orchestra, Norwegian National Opera Orchestra and Norwegian Chamber Orchestra. Christian Eggen is conductor and artistic director. Oslo Sinfonietta performs regularly at Norwegian and international festivals and has collaborated with a number of leading composers. In autumn 2015, Oslo Sinfonietta was awarded the Critics' Prize for the project Lachenmann! from June the same year. 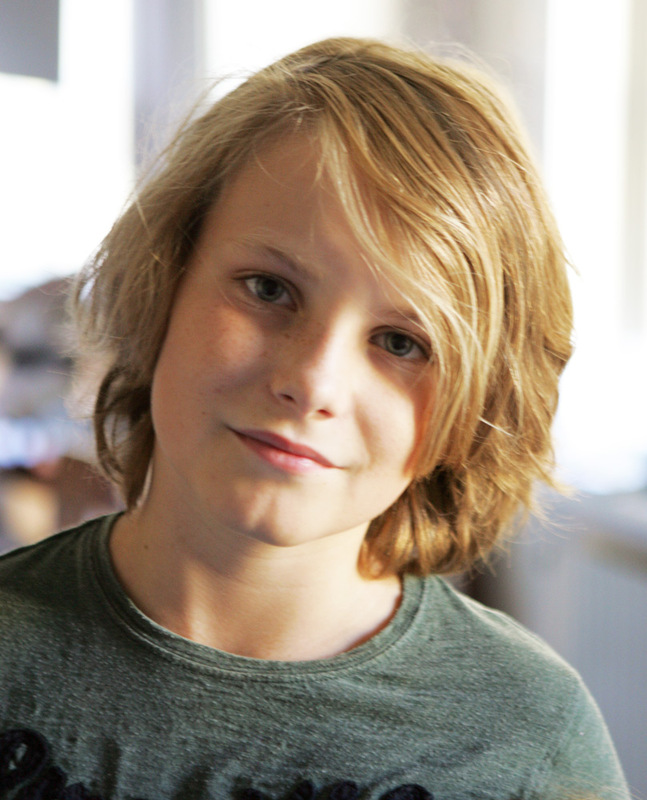 Philip Weiss-Hagen (born 2006) has a background from the Oslo Cathedral Boys' Choir, where he, among other things, performed as soloist in La Sagrada Familia, Barcelona (2018). He appeared in "Kvelden før kvelden", "Idrettsgallaen" and the celebration of the royal couple's gold wedding anniversary on NRK TV. He performed with the Oscarsborg Opera in Carmina Burana in 2017. At The Norwegian National Opera & Ballet, Weiss-Hagen has performed in The Storm and The Nutcracker (2017), Tosca, Heimferd, Purriot, Sea Symphony and The Queen of Spades (2018). The young singer has also been a soloist in Faurés Requiem with the Sofienberg Choir and Glogerakademiet (Kongsberg), and in Bernstein's Chichester Psalms with Oslo Cathedral Choir. Marianne Folkestad Jahren was educated at Barratt Due Institute of Music and University College of Opera (KHiO). She has previously performed as a soloist with Deutsche Oper am Rhein in Düsseldorf and at the Festival d'Aix-en Provence in France, among other venues. In 2008 she received Arve Tellefsen's talent award. In July 2019 she will play the role of Ines in Il trovatore for the Østfold Opera. Jahren is currently working in Norway and abroad and in 2019 will tour at home and in France as part of the freelance group Simsalabim Productions with the opera La Voix Humaine by Francis Poulenc, where she plays the lead role. Hege Høisæter was born in Bergen and is educated in England and at the University College of Opera in Norway. The mezzo-soprano has worked at The Norwegian National Opera and Ballet since 2002, making her mark in roles such as Sextus (Mozart's Titus), Cornelia (Händel's Julius Caesar), Rebekka (world premiere of G.E. Haugland's Rebekka), and in the solo production Infinito nero (Sciarrino). In the autumn of 2018 Høisæter performed the role of the countess in Tchaikovsky's opera The Queen of Spades on the main stage of the Norwegian National Opera, and performs Erda in Wagner's Ring at the Gothenburg Opera until 2021. Thorbjørn Gulbrandsøy was educated at the Grieg Academy in Bergen and the Royal Academy of Music in London. The sought-after tenor was employed as a soloist at The Norwegian National Opera and Ballet from 2015 to 2017, where he performed roles such as Tamino in The Magic Flute and the mate in The Flying Dutchman, and is invited to perform in future productions. Gulbrandsøy has also performed at the Nationale Reisopera in The Netherlands, Bergen National Opera and Staatsoper Berlin, and has toured with Riksteatern in Sweden. Njål Sparbo has since his debut in1991 made his mark as one of Norway's most active and versatile singers, with a repertoire spanning opera, ballads and church music. Through his interest in contemporary music, he has contributed to numerous world premieres, stage performances and recordings. Sparbo has been awarded a number of grants and prizes. He has performed as soloist with all the major choirs and orchestras in Norway, and held concerts in Europe, Russia, Japan, South Korea and the United States. He performs regularly at festivals, opera houses, on radio and TV, and has recorded 30 albums.